Glacier National Park’s Citizen Science Program announces two opportunities to help with early detection of invasive plants along park trails: Noxious Weed Blitz on July 15 and an online training course for the Invasive Plants Citizen Science program. Both opportunities are free of charge and open to the public. The fifth annual Noxious Weed Blitz will take place on Tuesday, July 15 from 10:00 a.m. to 4:00 p.m., meeting at the park’s community building in West Glacier. Participants will be trained to assist the Invasive Plant Management Program by learning to identify, map, and pull invasive plants. A free lunch will be provided by the Glacier National Park Conservancy. Be prepared to spend the afternoon in the outdoors, pulling invasive plants. Please bring gloves for hand pulling, footwear for hiking, and drinking water. Please RSVP if you would like to attend. An online training opportunity teaches participants how to identify five targeted invasive plants, conduct surveys, and map locations of invasive plants using GPS units. Once training has been completed, visitors may check-out GPS units from the Crown of the Continent Research Learning Center to detect invasive plants while in the park. The online training program can be accessed http://www.crownscience.org/getinvolved/citizen-science/noxious-weeds. The Invasive Plant Management Program at Glacier manages non-native invasive plants that displace native flora, interrupt ecological processes, or degrade natural scenery. Most infestations of invasive plants in the park are closely correlated to disturbed areas such as roadsides, recreational areas, and construction sites. However, the 700 miles of backcountry trails also provide a corridor for invasive plants to spread and monitoring is often difficult. 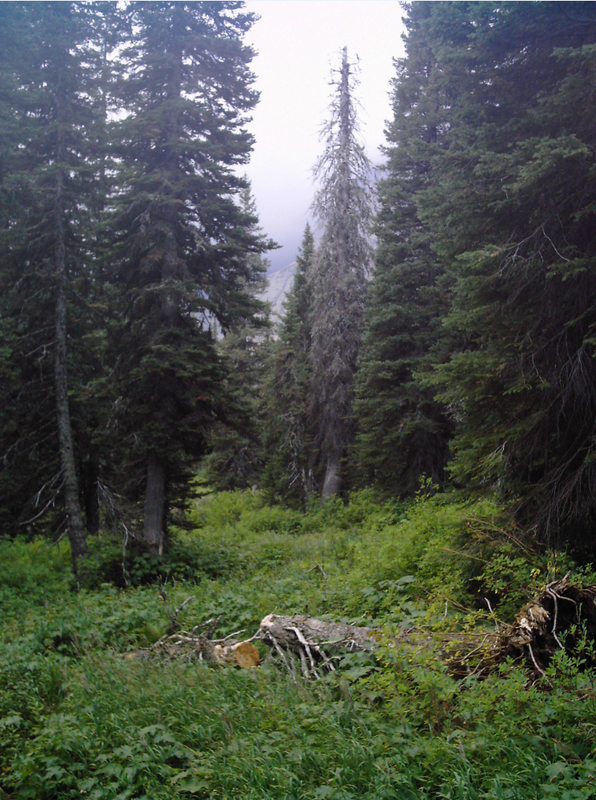 In 2008, the Invasive Plant Management Program and Crown of the Continent Research Learning Center established a citizen science program to enlist the help of the public to map the spread of invasive species in the backcountry. The Citizen Science Program, now in its ninth year, is supported by the Glacier National Park Conservancy, fostering stewardship while providing critical baseline information on Common Loons, mountain goats, pikas, and invasive plants. For more information about the Crown of the Continent Research Learning Center visit http://www.crownscience.org. Attending the Noxious Weed Blitz or completing online training enables participants to continue monitoring invasive plants during future hikes in the backcountry. To sign-up for the Noxious Weed Blitz or learn more about the event please contact the Crown of the Continent Research Learning Center at 406-888-7986 or glac_citizen_science@nps.gov. This has been a successful program in past years. I hope there’s a good turn out for it this summer.